Be sure to study and follow the equipment manufacturer's printed instructions. 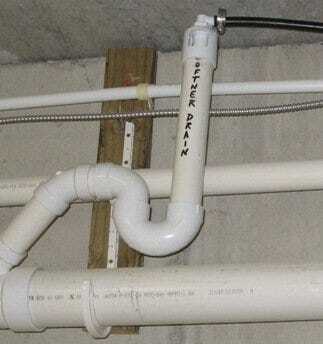 They will specify drain line size. If the proper size is not provided, the unit may not be thoroughly backwashed. NOTE: This air gap fitting will slip over 1-1/2” PVC tubing and is glued inside the fitting. On 2” PVC tubing, you will need a 2” PVC coupling and the air gap fitting fits inside that coupling, where it will be glued on the outside.